Self-confidence, together with talent, cultivates excellence. Such is certainly the case for Alicia Keys, who on her third studio album, As I Am, presents her strongest, most consistent effort yet with songs that defy superficial expression. Indeed, the woman heard here imparts so much uninhibited conviction that her music often sounds like it was spiritually channeled rather than skillfully composed. Some songs evoke an old-school flavor while others feel entirely of the moment. Whatever the mood or the muse, though, Keys commands each one with a voice that’s matured into one almighty instrument. While the emotive power of her voice exceeds almost anything she’s done prior, the album wouldn’t fare as well as it does if the songs themselves weren’t this good. “Teenage Love Affair” for instance, draws on a retro vibe and playful lyrics, with Keys as a coy schoolgirl who fools around with her crush before she sneaks back home. In a more grown-up scenario, “Lesson Learned,” which features John Mayer on both backing vocals and guitar, Keys guides a subtle groove with her piano while relating the heartache of a woman scorned yet strengthened by a broken relationship. And, with its Hip/Hop rhythms infused with dominant percussion, she wields “Wreckless Love” into a shameless plea for passion amid a fizzling romance. It’s on “Sure Looks Good To Me,” the album’s closing track, that Keys exhibits the full breadth of her abilities. A piano begins the song, whereupon Keys sings in a voice achingly raw and soulful. The music evolves in its texture and progression, the sound of drums steadily rising toward a sonic plateau where the singer lets loose and wails, “I’m gonna risk it all/No freedom, no fall.” Organic in its tone, virulent in its intensity, and direct in its delivery, this song summarizes the album’s foremost theme of self-assurance. 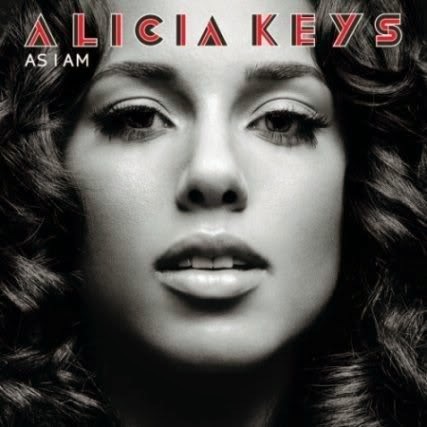 As I Am constitutes the most cohesive album that Alicia Keys has created to date. While her preceding albums have illustrated a prodigious artist with formidable talent, this effort demonstrates an improvement and expansion of that talent.